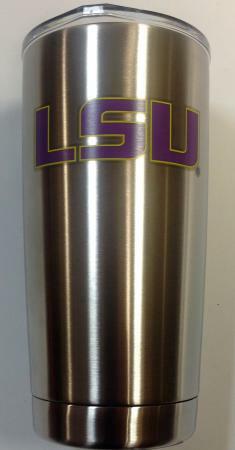 LSU 20oz stainless steel mug. Double wall, vacuum insulated. Comes with lid.